Provide comfort for the family of William Fagerquist with a meaningful gesture of sympathy. Bill and Elaine were married for 72 years. Bill met Elaine while she was working for the railroad as she was handing out paychecks to a line of workers. They married in 1947. Bill taught Elaine to snow ski and water ski. Elaine taught Bill how to bowl. Later they both picked up tennis, golf, volleyball and ice skating. Both were already good dancers. Elaine grew up in North Denver and went to North High School. She was intelligent, attractive, and quite the athlete. She played shortstop on a traveling women’s fast pitch softball team during the war years. Plus, she was good at bowling winning city tournaments teamed up with her mother , Hazel Dopheide (Miner). Elaine worked for Burlington Northern, Rio Grande railroads, McKesson & Robbins Distributors and Apache Energy. Bill was and engineer for Mountain Bell, where he worked on the project to relocate the telephone lines along the Gunnison River before the Blue Mesa Dam was built and valley flooded. Later, he was a Right of Way agent for US West and Rio Grande eventually spawning his own Real Estate business. They started their family in 1949 with Larry later adding David in 1952. 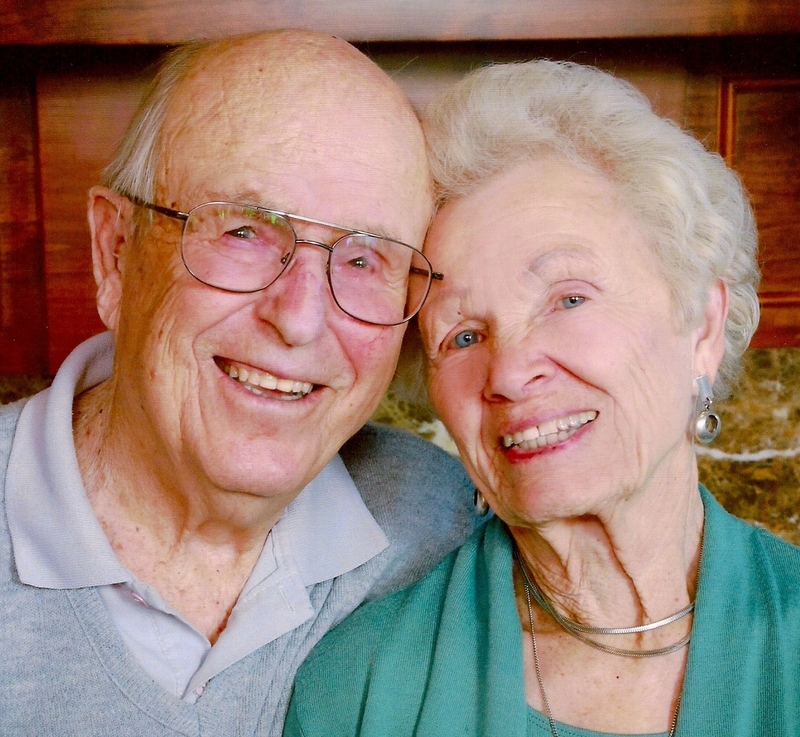 As a family they enjoyed years of fun through Bill and Elaine’s skiing interests spend every summer weekend at either Carter, Loveland, Stanley lakes to name a few and winter weekends on the slopes of Loveland Basin, Berthod Pass and Winter Park. At Evergreen they enjoyed ice skating, sledding and tubing. After the boys had grown and begun raising their own families, (grandchildren, Casey, Jason and Ambre, Great grandchildren, Michael and Alex) they started cross country skiing leaving alpine skiing behind. Upon retirement, they competed in Senior Olympics in tennis and volleyball. They traveled and enjoyed playing different golf courses around the country. At home they played tennis, bowled and golfed, sometimes in the same day. Elaine golfed and bowed up until last fall at age 91. Bill started slowing down around 84 so Elaine made sure he didn’t just sit around. He went with her to all bowling activities after he couldn’t bowl any longer and usually made her tee times after he couldn’t golf. They enjoyed going out to eat with their long time friends. They attended church together. Bill and Elaine did everything together practically their entire lives. She passed away February 12th, 2019 at the age of 91. Bill passed away on March 31, 2019 at the age of 94. Mom, Dad, Grandma, Grandpa, Aunt, Uncle, Friends… they will be remembered and missed by all. Celebration of Life will be held at Indian Tree Golf Course, April 19, 2019 at 2:00 p.m. Provide comfort for the family of William Carr Fagerquist by sending flowers.